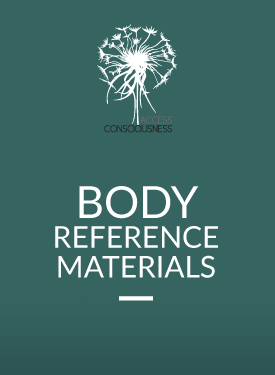 Welcome to the Body Reference Materials! This complete set of Body Reference materials includes hands on Body Processes and verbal processes from the 3 Day Body Class and the Advanced Body Class. The reference materials are for you to be able to find an energy that can change your body and your life. What are the Body Reference Materials? Access Consciousness® classes have been facilitated for over 25 years and new material is constantly being created. The information and material for these classes is created from Gary Douglas and Dr. Dain Heer, the co-creators of Access Consciousness, and all of the participants in the classes around the world. The Advanced Body Class and 3 Day Body Class manuals have been re-written to include the newest, most relevant and life-changing body processes. To create more ease, the past information has been compiled.